Another Valor Win for Maxi! On Saturday the 22nd of November at Valor 9 in Launceston our own "Super" Steven Maxwell had his 5th outing in the cage, or as he calls it " a swim in the shark tank". Maxi took on Victorian, Stephan "the Godfather" Friedrich in a 3 round A class bout. 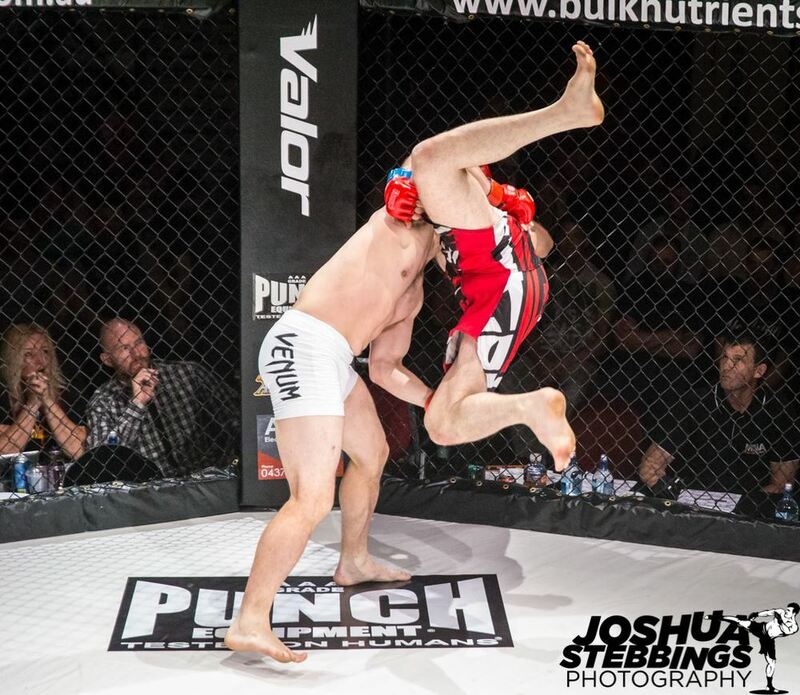 Despite facing a strong offensive guard game Maxi managed to take the win via Ground and Pound in the 2nd round. This match certainly proves the adage "elbows change everything!" This victory takes Maxi to 3-2 in Professional MMA, Congrats Maxi!! Special thanks to Joshua Stebbings Photography for the great images. Hobart's No.1 BJJ, Muay THai, Self Defence & MMA Academy, catering for people from all wALks of life.